"Infrared Island" is a series of ‘landscape’ portraits taken in two different places and printed in newspaper format. They are of mountains in the north of England, parts of Japan and a Turkish shop window. 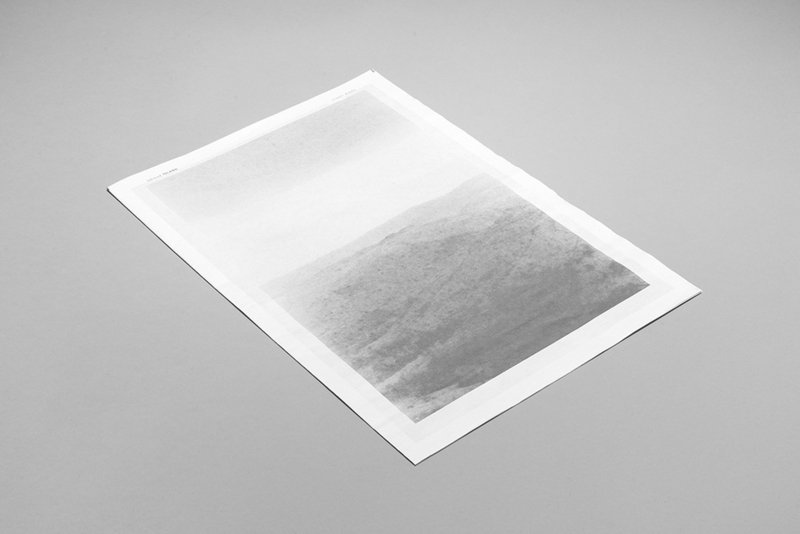 The printed work is vaguely descriptive of somewhere in the not-so-distant future, looking at the collection of landscapes as literal portraits. People figure in each photograph but barely, and only to suggest a sense of altered scale. At times figures are diminished or barely distinguishable from the place they're in, places that have personalities of their own. The newspaper print stock is imperfect and uninterested in capturing accurate impressions of each place. Like the Infrared film used, they possess their own ‘climate’ which the book attempts to draw out and represent. 12 pages, 12.5x17inches, off-white digital print newspaper stock, unstapled.